Mixed Media Info understands that its use of your information requires your trust. Mixed Media Info is committed to the highest standards of data privacy and will only use your information for clearly described purposes and in accordance with your data protection rights. Please Note: For ease of reading the publications and services, by Mixed Media Info, are referred to throughout this policy by their Short Name (if applicable). 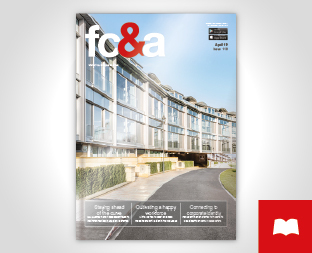 FC&A, PSBJ, Inex and I-Build provide media and advertising services through their printed and digital magazines, websites, emails, social media and/or mobile device applications. SBP provide media and advertising services through their website, emails, and social media. BI host and provide emails to every subscriber on the Mixed Media Info database. Please help us to keep your information up to date by informing us of any changes to your contact details and/or preferences. At any time you may change or review your preferences and data Mixed Media Info holds. We use your personal data for customer care and for personalised communication of Mixed Media Info product and service information, where necessary with your consent. In order to ensure that you receive relevant and personalised communications, we will use your data to create an individual customer profile and we may share your personal data between Mixed Media Info publications and services only. We may use any of the information that we receive for product and service quality assurance and development purposes. Before any such use is undertaken your information will be de-personalised so it cannot be directly linked back to you. In other words, you will be made anonymous during the process. We use a variety of security measures, including encryption and authentication tools, to protect and maintain security, integrity and availability of your information.